Can you find my family crest? Can you research my family’s crest? Most people in the US don't have a registered coat of arms. 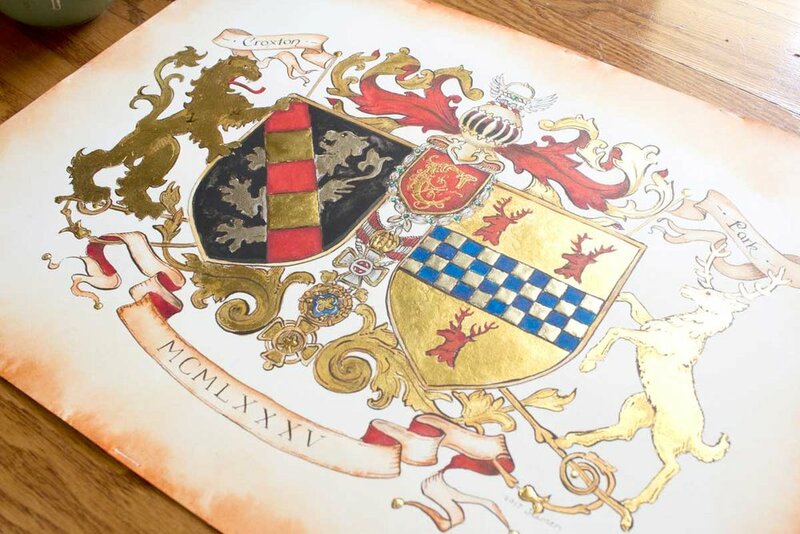 The companies that sell information based on your last name or surname are selling coats of arms reproduced from historical records of people who have the same last name. People who share a variant of your last name might have been awarded achievements in the past. There might even be several out there for your name, because several people were awarded arms. The companies generally sell an image of the oldest one on record. Without the help of genealogical records, there's not a way for me to confirm that you were actually descended from the person who was awarded that coat of arms in the past. I create artworks inspired by heraldic art, but I do not conduct genealogical or heraldic research.